Two (2) 60,000 BTU, high pressure cast-iron burners are excellent for boiling and steaming, but can also be used to stir fry or deep fry. 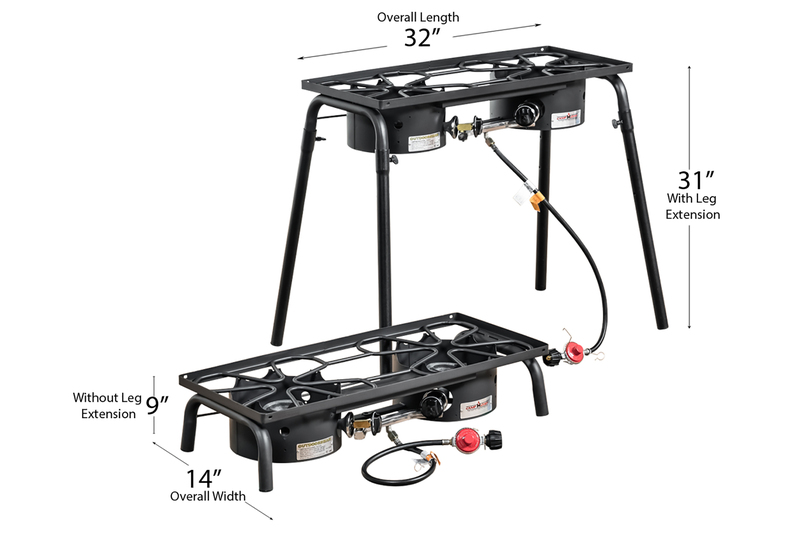 This UL approved high pressure system features a 10 psi POL-style approved regulator with 36” hose. The sturdy, durable powder-coated frame with 3-sided windshield is free standing with 29” tall legs. • Total weight of EX280LW is 36 lbs.